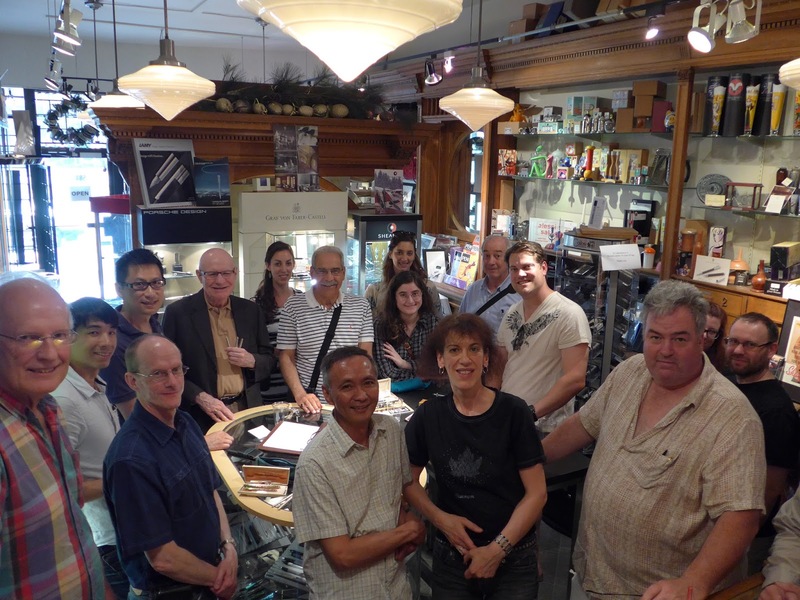 A nice group shot taken by Richard, our meeting host at Perks. 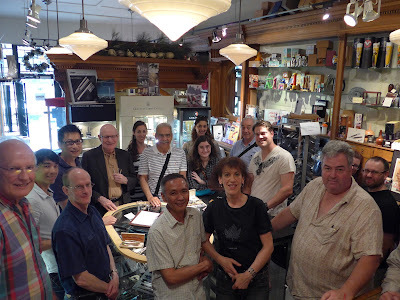 From front & center, going counter-clockwise we have Ben R., me (Maja), Mark, Greg, Kristina, Aaron, Bruce, Patti (back), Elina (front), Mido, Bethany, Bill M, Tony, Peter, Bob W and Stuart. Not pictured: Richard, Joe, James, Wai, Barry K.
(Photo above) Mark brought along a gorgeous Waterman CF set (bottom center) and a Parker desk set, which does fit the theme of "sets", but was the only example we saw that night. We'll have to bring back "Desk Sets" as a theme sometime, I guess! 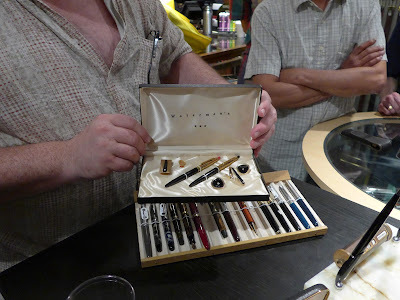 This is a cool vintage Waterman set that Mark is showing. 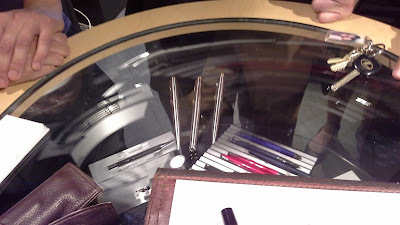 Note the cufflinks that came with the writing instruments! 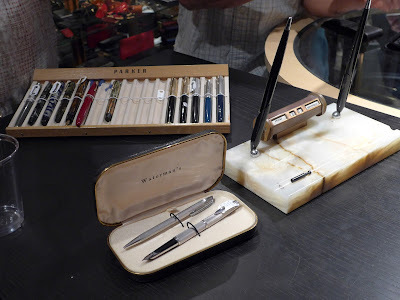 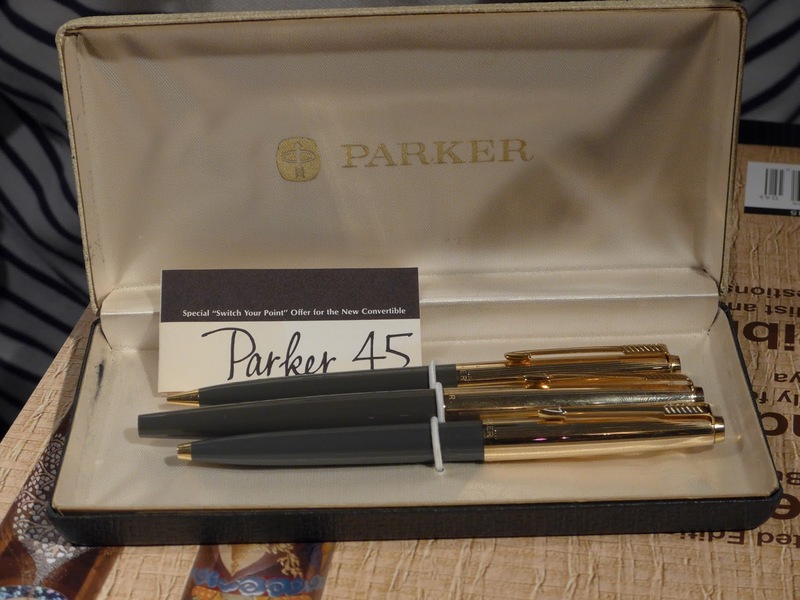 One of our newer members, Bill Mugford, brought along a classic Parker '75' fountain pen set in stainless steel. 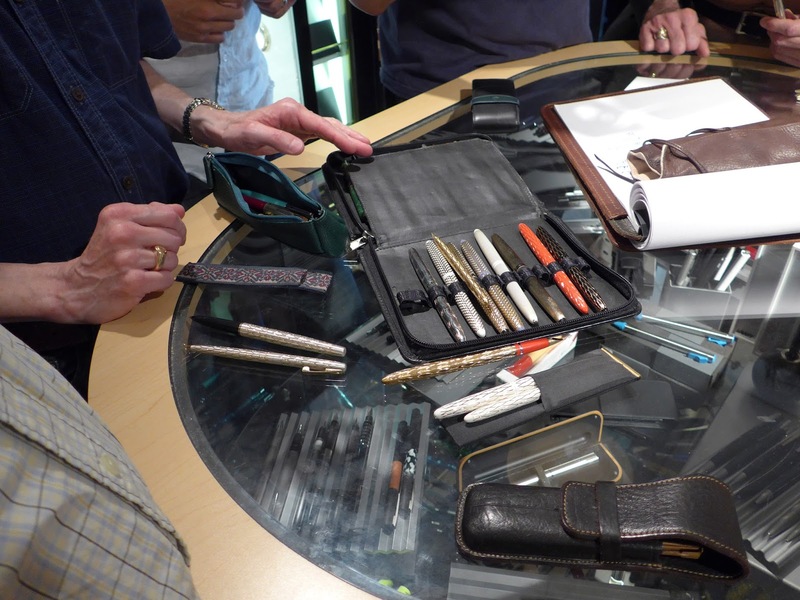 That Stuart's ever-growing collection of Sheaffer 'Lady Sheaffer' writing instruments above. They were introduced in the late 1950s and targeted at a female audience. Note the various finishes and designs. 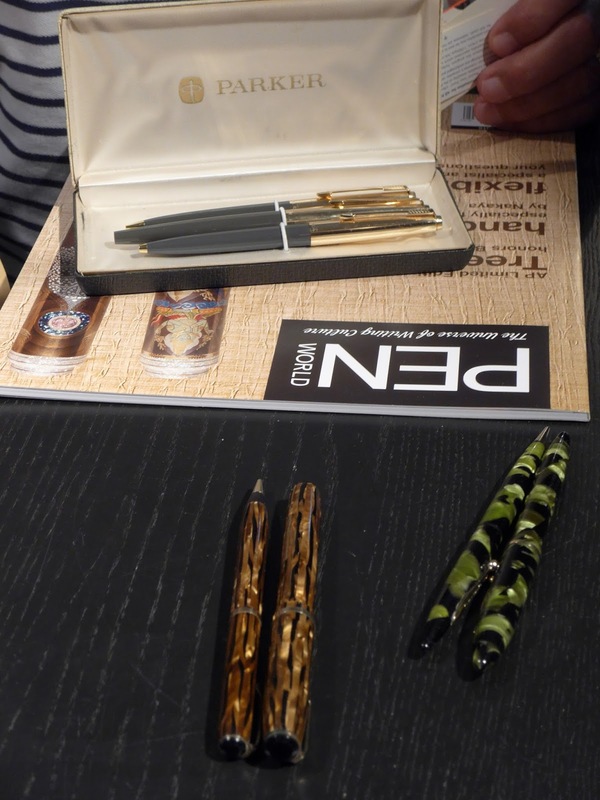 I brought quite a few sets, but in my haste to photograph other pens, I forgot to snap a pic of my own. 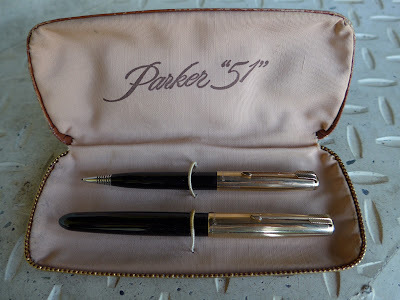 I took this shot of my lovely Parker '51 Demi' fountain pen set at home.